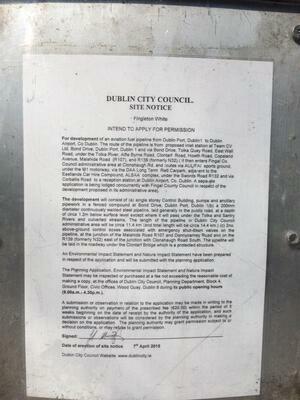 At 6pm, at Dublin City Hall. 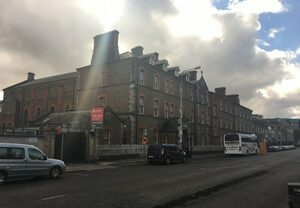 Dublin City Council will vote on a motion not to sell the Sean McDermott Street magdalene laundry (above) to a Japanese hotel chain – after the vote didn’t take place on September 3. An online petition in support of the motion has, as of this afternoon, gained 10,466 signatures. Supporters of the motion are calling on people to join them in a peaceful protest outside the city hall at 6pm as the vote takes place. 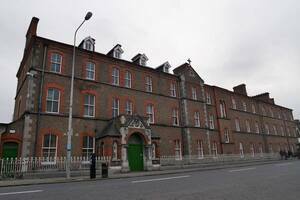 Posted in Misc and tagged Dublin City Council, Sean McDermott Street magdalene laundry at 12:47 pm on September 13, 2018 by Bodger. Is this a vacant property? See you there. This place should be a public museum. A museum to make conflicted Catholics feel much better about themselves. How many times a year will you go to the museum and more importantly how much would you pay? Nah, it’ll operate with free entry and be run at a loss. What’s the difference between a social justice activist, and a social justice warrior? An SJA sees steps and a wheel chair user and thinks… let’s build a ramp and make it accessible! An SJW sees steps and a wheel chair user and thinks… let’s berate, bully, chastise, intimidate and belittle able bodied people for their privilege of being able bodied. That’s it, then they go home all puffed up with self congratulatory smugness with nothing practical done. Its a bit large for the whole building to be a museum surely? Incorporating a memorial seems reasonable. They should box off a single room recreated as an office, with a Madame Tussauds wax works of a nun, cane in hand, bating the sh(te out of a pregnant , sobbing youngwan who’s scrubbing the floor with a toothbrush while a priest looks on grinning from behind his desk. Also the small feet of an kneeling alter boy sticking out from under said desk. And ambient sound of crying and torture as if its coming from the surrounding rooms, girls screaming in labor, nuns voicing words of encouragement ( “push you whore” “this baby was already dead inside you and you knew,lying whore” slap!! ) on a loop . That building would make a fine block of apartments, but sure, we don’t need those in the city.